After crossing the Drake passage you’ll first reach the South Shetland islands which has large penguin breeding colonies. It’s interesting, it’s worth the visit but it’s not why I’m here. I can see breeding penguins in the zoo and breeding penguin wild life colonies in Argentina, South Africa or New Zealand. I’m here for the 7th continent. I’ve reached my 7th continent, Antarctica. It has always been my dream and finally the expedition leader would announce over the loud speakers that if you looked port side you’d be able to see land. I don’t remember when I first mentioned Antarctica to my friends but it’s been years. If you ask someone to mention 5 things they think about when you say Antarctica, “penguins” is guaranteed to be one of them. As far back as I can remember, I’ve had a great fondness for penguins. There is just something adorable about their posh always-wearing-a-smoking lifestyle in a mini-world where no-one else is around; even though most of the rest of the world doesn’t seem to appreciate it for anything else than vast, cold and inhospitable. Adult penguins don’t have alot of natural enemies as there simple aren’t anyone else that bothers going where they go (okay, there are a few enemies but not many) – the inanimate nature, on the other hand, is different story! This is good, because except for their flappy flippers, they are virtually defenceless. Although, thinking about it, their incessive squawking and their godawful smell is probably enough to deter all but the most hardened. 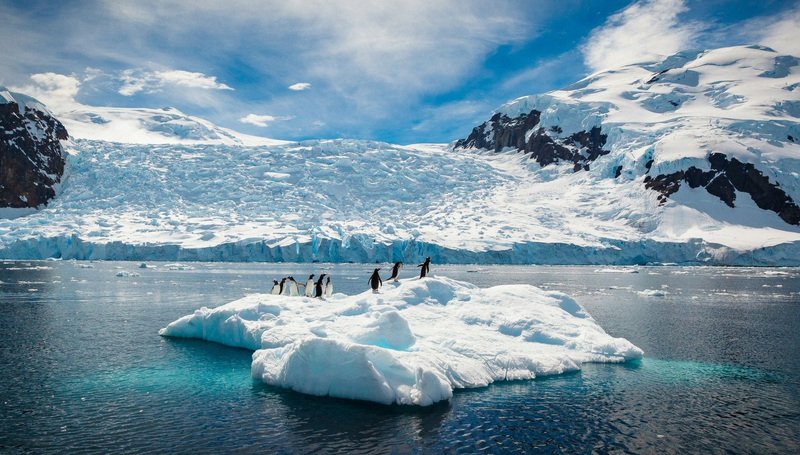 So why am i rambling on about penguins when the title of this post is Antarctica? Because, of course, if you ask someone to mention 5 things they think about when you say Antarctica, “penguins” is guaranteed to be one of them (ice, snow and cold are other excellent candidates). They are such an integrated part of the antarctic landscape and the main reason why I want to go there. So, the point is that I’ve wanted to go for quite some time. Some people want to buy a car, some people want to renovate their house and since I’ve already done both, I’ve decided to spend it on a trip to Antarctica. I’ll get into the cost of this adventure in another post after the trip is done so hold tight – spoiler – it ain’t cheap, folks! However, with a steep price tag, only a 5 month season and a trip to “Fin Del Mundo”/”End of the World” aka Ushuaia at the tip of south Argentina to even begin your journey, only about 34.000 people a year make it to Antarctica. There are of course other compelling reasons like bucketlist checkboxes and bragging rights. 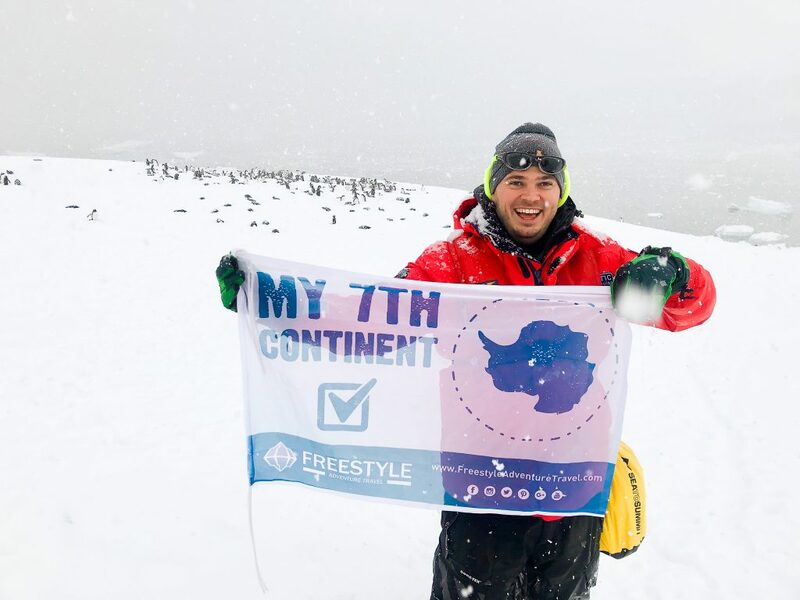 Having conquered the 7th and final continent ensues monumental bragging rights. However, with a steep price tag, only a 5 month season and a trip to “Fin Del Mundo”/”End of the World” aka Ushuaia at the tip of south Argentina to even begin your journey, only about 34.000 people a year make it to Antarctica. Which is of course also a big part of the reason why it’s so unspoiled, raw and pristine. I realized, that since the season is so short and because it’s time for me to go back and work it might very well be now or never that I’ll able to have the time, money and energy to embark on such an expedition. From here, everything happened very fast – see if you can hold on! On the 13th of November, 2018 I booked a one way ticket to Ushuaia hoping to go from bureau to bureau to find that sweet last-minute deal. On the 16th of November, 2018 I found that deal. On the 26th of November, 2018 I will embark on the journey of a lifetime. The man on the phone gave me 12 hours to accept the offer he had found. The man on the phone gave me 12 hours to accept the offer he had found. “Now or never”, he said. “This is it”, he said.” It checks off all your boxes”, he said. “I called everyone – this is the one”, he said. “You can pay by credit card”, he said, “Tina will take care of you”. And with that my dream was about to become a reality. I will be posting more about this trip, so stay tuned. There is no internet on the boat, so the posts will be slightly delayed until after I’ve returned.